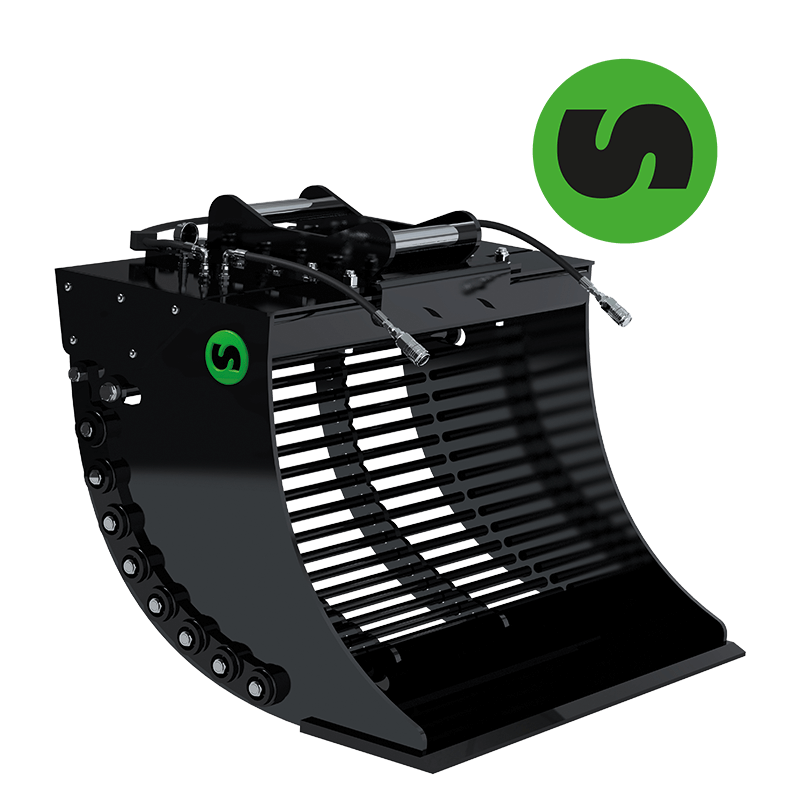 Steelwrist’s screening bucket is suitable for excavators weighing between 3 and 35 tonnes, and has been adapted to be used together with Steelwrist tiltrotators. All buckets – including our new screening bucket – in the Steelwrist standard range comply with the S standard. Of course, the screening bucket also works well without a tiltrotator. The demand for environmentally-friendly and fuel-efficient recycling solutions for work-site material is growing. 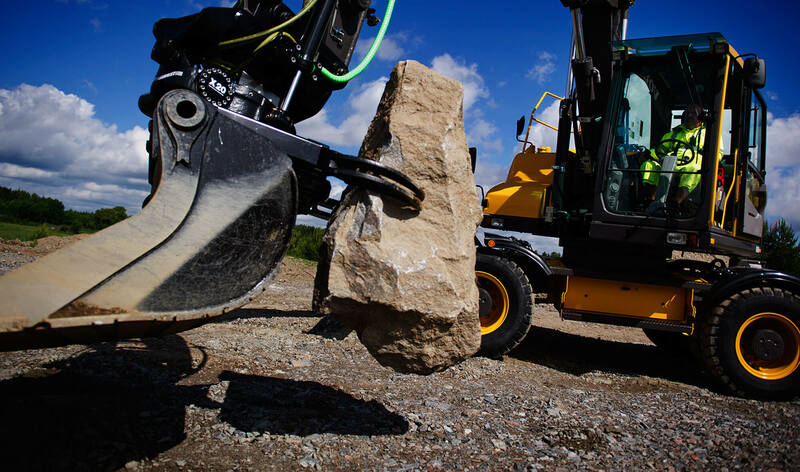 Products that make it easier to recycle material directly at the work-site have a rapid payback. 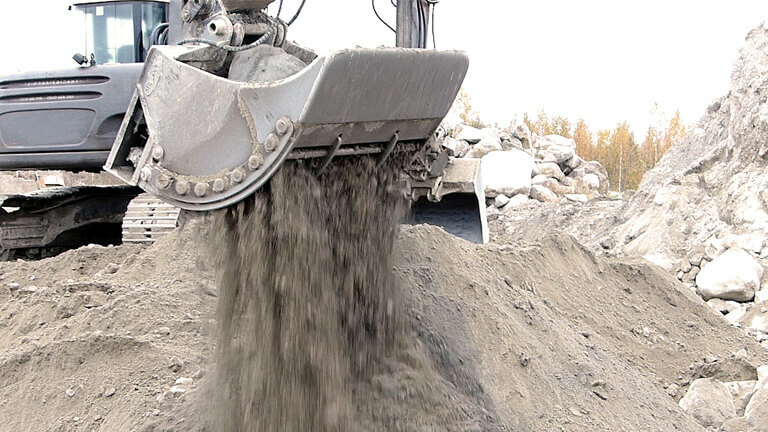 Rising fuel costs and landfill fees make it expensive for machinery contractors and builders to transport unscreened material out and bring in fill and topsoil as a replacement. Using a Steelwrist screening bucket allows you to cut costs by screening material on-site. The screening size can be adjusted from 25 mm to a larger size in just a couple of minutes. The bucket has a patented direct driven camshaft that reduces the number of moving parts in the bucket. 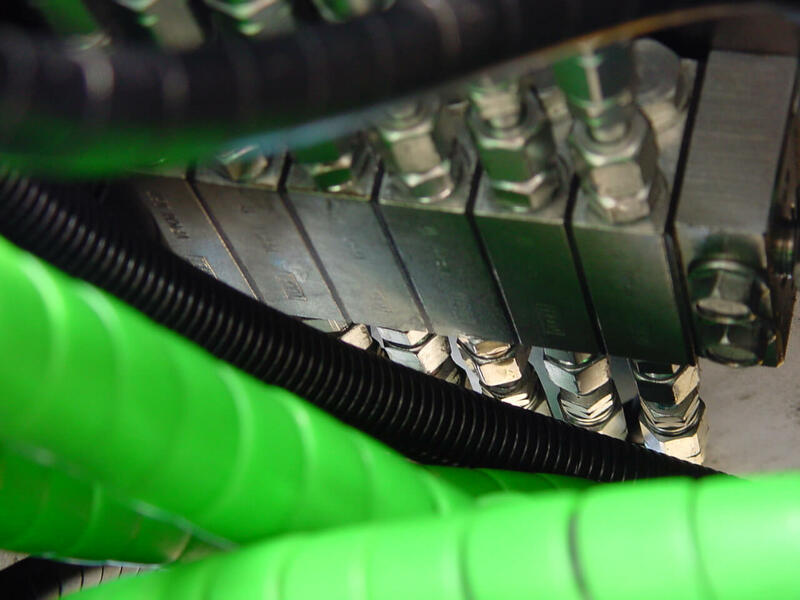 Extremely few moving parts means that it will be both cheap in maintenance costs and is suitable for rental. Everything can sorteras – wet material, large rocks, and construction site waste. Here you can see a movie how our screening bucket works compared to other methods to screen material.